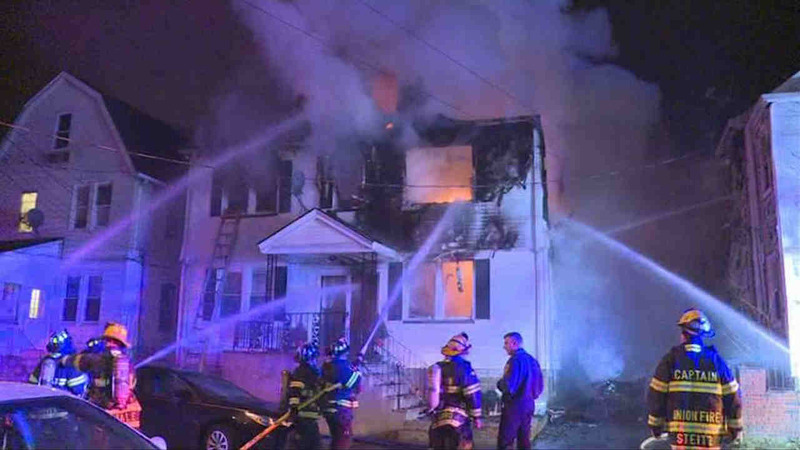 UNION, New Jersey (WABC) -- Two residents were taken to the hospital after a house fire in New Jersey. The three-alarm fire broke out at the home on Ohio Street in Union Wednesday morning. The fire was on the first and second floor and extended to the attic before firefighters brought it under control. There was a small explosion inside the home, possibly an oxygen tank according to investigators. Two people were removed from the home by firefighters. One went to the hospital in stable condition and the other refused medical attention at the scene. Four families lived in the house, which sustained extensive damage.